This contest was sponsored by Atlanta Home Improvement magazine. They asked local professionals to submit before and after photos of renovation projects in categories ranging from interior design to landscape. 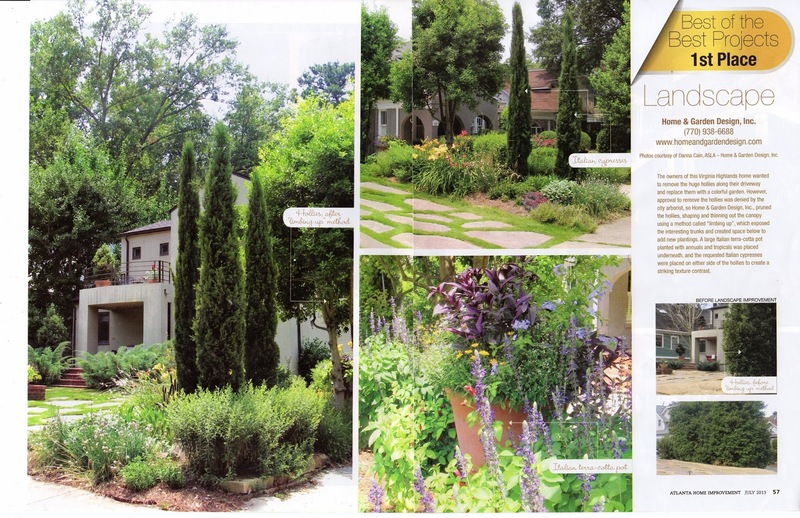 We won 1st Place in the landscape category for Hoover's front yard makeover in the Virginia Highlands area. We were not only given a lovely plaque .... we were featured on this beautiful 2 page spread in the April 2013 issue of the magazine! See more about this project!